If you’re considering orthodontic treatment with the Invisalign clear braces system, your general dentist in Chesterfield will likely offer this service. However, not every dental office is equipped with the technology necessary to accurately plan Invisalign treatment to shift teeth into their ideal alignment quickly and precisely. 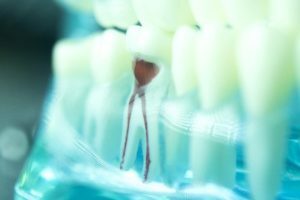 In this post, we’ll review some of the technologies your dental office may utilize to reduce error and ensure successful Invisalign treatment plans to deliver flawless smiles. Do you have a severely damaged or infected tooth? If so, your dentist has likely recommended that you undergo an endodontic procedure known as root canal therapy. Root canals in Chesterfield are a common means to save a tooth from needing to be extracted by restoring its health. While you may be a bit hesitant to undergo the procedure, you have nothing to fear. By understanding the steps involved, you will head into your procedure feeling confident and relaxed.